Head Secretary Zhang makes an alcoholic concoction for Zhong Yu Tang to drink. Ji Wen Kai saves Zhong Yu Tang from drinking it when he drinks the alcoholic concoction, instead. Head Secretary Zhang expects Zhong Yu Tang to drink three drinks if she wants him to give his time to her to discuss about a possible collaboration between Yours and Mei Mei. She drinks one. The other two she is saved from drinking when a wait staff informs Zhong Yu Tang she has a person at the door asking to see her. Zhong Yu Tang goes to see this person at the door—but not before she assures Head Secretary Zhang she will return and won’t use this opportunity to escape when Head Secretary Zhang asks if this is what she will do. Ji Wen Kai was standing a distance away looking onto the scene of Head Secretary Zhang’s group chanting for Zhong Yu Tang to drink and Zhong Yu Tang drinking. It seems it was he who requested to see Zhong Yu Tang at the door—a method he seems to have thought to use to get Zhong Yu Tang out of the situation she was in with Head Secretary Zhang. Head Secretary Zhang appears to want to challenge Ji Wen Kai with further rudeness and disrespect, but is stopped when a person in his party whispers in his ear with something that seem to give him knowledge of Ji Wen Kai’s important identity and status. “Tianxi Group?” Head Secretary Zhang says. He turns to Ji Wen Kai and apologises for his terrible manners: “CEO, I’m very sorry. I’ve neglected my duty with not recognising you. I will drink three drinks to express my apology.” Head Secretary Zhang’s words are heard as nonsense and full of games to Ji Wen Kai’s ears. When Head Secretary Zhang asks if Ji Wen Kai’s presence is due to the collaboration between their two companies and he goes to give a rather polite but arrogant suggestion to follow process, Ji Wen Kai goes to comment again on Head Secretary Zhang’s unprofessional and sour attitude towards his salespeople, his lack of integrity with not following through with what he promises to do and deliberately making things difficult. Picking up on Ji Wen Kai’s words as referring to his treatment of Zhong Yu Tang, Head Secretary Zhang explains its that Zhong Yu Tang and he are good friends who are simply reminiscing about the past. True friendship is drinking such a drink as the one he made for her. Ji Wen Kai finds it a joke—one that goes overboard. He tells Head Secretary Zhang he will drink the drink he made for Zhong Yu Tang. One gulp then another, Ji Wen Kai empties the large glass of the alcoholic concoction. The action first makes Head Secretary Zhang laugh in amusement before he appears awed by Ji Wen Kai’s ability to finish the drink. After the drink, Ji Wen Kai makes sure Head Secretary Zhang is aware there is a consequence if he continues to not honour his word and continue to make it difficult for his salespeople: he tells Head Secretary Zhang that with Tianxi Group leading the plan for Yours to enter into the European market, he always can put a stop to it. And when his company’s chairman asks for an explanation, he will simply reveal the reason for his actions at that time. Zhong Yu Tang makes her way back to the table. She is confused and mutters to herself why the person who had requested to see her wasn’t there. When she turns into her table and doesn’t see Head Secretary Zhang and his party, she is surprised. “Ji Wen Kai? Why are you here?” Zhong Yu Tang asks Ji Wen Kai. “Why am I here? I should be asking you that,” Ji Wen Kai responds—because she should be working on the Yours proposal. Zhong Yu Tang comes back with saying she isn’t obligated to report to him because it’s out of work hours and walks off, Ji Wei Kai calls her back. He asks her for a dance. Ji Wen Kai and Zhong Yu Tang are on the dance floor. The dance between Ji Wen Kai and Zhong Yu Tang in the present brings about scenes of a dance that took place between Ji Wen Kai and Zhong Yu Tang in high school. 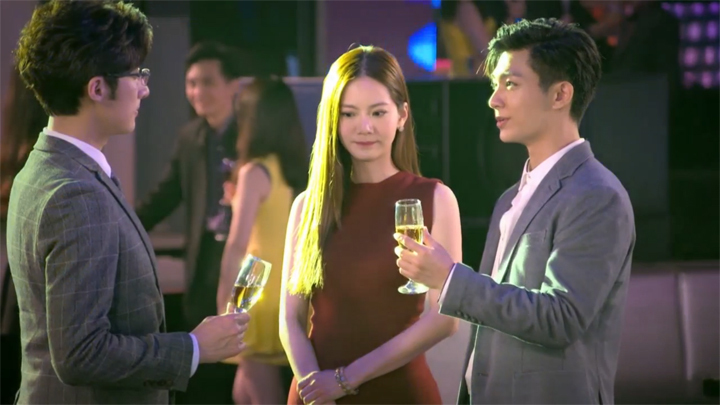 The evening of that high school dance shows Ji Wen Kai and Zhong Yu Tang declining invites from others as they both wait for the other to be their dance partner. It was an evening where Ji Wen Kai had saved Zhong Yu Tang from a persistent male student who couldn’t take no for an answer and Ji Wen Kai teaching and leading Zhong Yu Tang in a dance that appear to be a slower and more innocent version of the present one. Wang Zi Yu officially introduces himself to Ji Wen Kai as the Executive Secretary of Shinway Biotechnologies. This dance between Ji Wen Kai and Zhong Yu Tang becomes one between three people. Zhong Yu Tang goes from dancing with Ji Wen Kai and Wang Zi Yu when Wang Zi Yu appears on the dance floor. After the dance, Wang Zi Yu introduces himself to Ji Wen Kai as the executive secretary of Shinway Biotechnologies—a secretary Ji Wen Kai reveals is a competent negotiator. The evening with Zhong Yu Tang has Ji Wen Kai forget to celebrate Miao Ai Sha’s birthday at the restaurant he agreed to show up to on time. Miao Ai Sha’s birthday is still celebrated when she visits him at his home; however, it is interrupted when Zhong Yu Tang calls his phone. 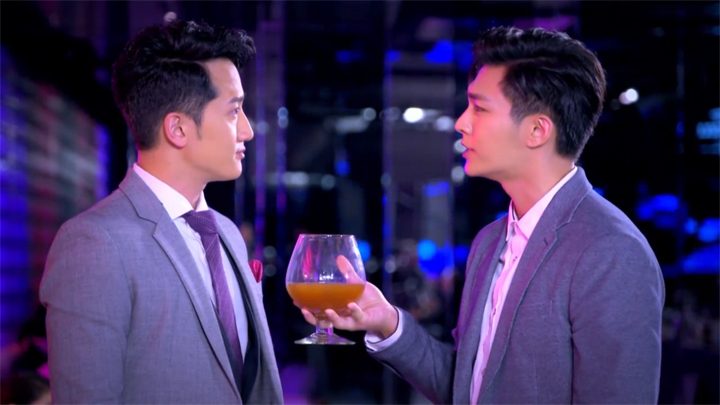 The drink Ji Wen Kai drank for Zhong Yu Tang and the one he drank with Wang Zi Yu as a toast to their first meeting finally takes effect after the dance. He’s sleepy and thirsty on the taxi ride home and is helped into his house and into his room by Zhong Yu Tang. Zhong Yu Tang leaves after setting him in his bed and after she speaks of the happiness she feels about Ji Wen Kai becoming a CEO, telling him whilst he slept that the teasing she directed towards him back then was to make him excel. Miao Ai Sha appears at Ji Wen Kai’s place some time after Zhong Yu Tang leaves. She enters Ji Wen Kai’s house with her key after ringing the door bell twice. She finds him in his room, asleep. When she pulls the covers over Ji Wen Kai to cover him up more, the action wakes Ji Wen Kai up. He’s confused how he got home when he asks Miao Ai Sha if it was her who had brought him home before asking her why she was here. Miao Ai Sha looking away slightly and leaving the question hanging, Ji Wen Kai realises the answer: it’s her birthday and he’s forgotten. He apologises for being so terrible as to forget. Miao Ai Sha is okay with it. She knows he didn’t forget on purpose. Ji Wen Kai looks at his watch and finds it’s very late into the night, but he tells Miao Ai Sha to wait and goes to grab the things he’s bought for her in his car. It’s a must when celebrating a birthday, Ji Wen Kai says to Miao Ai Sha at the lounge with the cake placed on the table in front of himself and Miao Ai Sha. The cake is a grand gesture for Miao Ai Sha. It is her first birthday cake, she tells Ji Wen Kai. She explains that it’s that she’s someone with a mother who gave her to her aunt to raise when she was born—a mother who is said to be a great mother, but isn’t a fact she has any recollection of. Miao Ai Sha has only seen her mother several times and those times had been only when her mother handed money to her aunt. She has always been neglected and no one helped her celebrate her birthday because she lived with a family that wasn’t her own. She also explains of never buying herself a cake when she was able to because blowing out candles alone was pitiful. The pitiful act of blowing out candles alone is the reason lavish dinners is how she celebrates her birthdays. Ji Wen Kai brings out his second gift he bought for Miao Ai Sha. He tells Miao Ai Sha he took a long time to pick it out. It is jewellery—jewellery that Miao Ai Sha finds beautiful and likes a lot. Midnight is arriving Ji Wen Kai notices when he looks at the time on his wrist watch. He tells Miao Ai Sha they should blow out the candles and goes to light them up. Miao Ai Sha quietly admires the scene. Soon, the candles are all lit and Ji Wen Kai tells her it’s time to make a wish. “I actually have only one wish,” Miao Ai Sha tells Ji Wen Kai. He asks her what it is. As Miao Ai Sha prepares to make a wish aloud, the vibrating sound of Ji Wen Kai’s phone interrupts her. Ji Wen Kai rejects the call and Miao Ai Sha continues. As she prepares to make her wish again, the sound of Ji Wen Kai’s phone vibrating interrupts her once more. Miao Ai Sha tells Ji Wen Kai to answer it; the sound has already broken her out of making the wish. This phone call is from Zhong Yu Tang—one that was called by mistake because his missed call was listed above the person she had intended to call: “Hello, Zi Yu. Sorry, I was taking a bath just now,” Ji Wen Kai hears Zhong Yu Tang say when he picks up. The knowledge that she had meant to dial Wang Zi Yu agitates Ji Wen Kai. He asks Zhong Yu Tang if she had to report to everyone she took a bath and feign understanding, sarcastically saying Wang Zi Yu’s call is more important. This response from Ji Wen Kai has Zhong Yu Tang retort back: she was going to ask if he was feeling okay, but sees she doesn’t need to, seeing as his mouth was so terrible. Whilst Zhong Yu Tang and Ji Wen Kai continue their bickering, Miao Ai Sha sits in the background waiting for Ji Wen Kai to return. It is 12:01 am when Miao Ai Sha checks her phone and sees that her birthday has gone by. She blows the candles out then sits quietly and sadly at her seat. She peers up at Ji Wen Kai who stands with his back facing her. 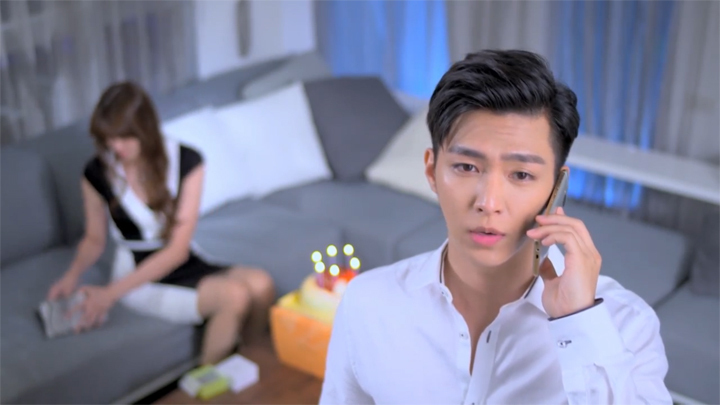 He continues to talk to Zhong Yu Tang on the phone, not realising that he didn’t make it back in time to blow out the candles together and make a wish on the cake that he bought for her to celebrate the birthday that he ultimately misses. Ji Wen Kai finally has all of the members of Sales Team 3 supporting Zhong Yu Tang when a video of Zhong Yu Tang wiping Head Secretary Zhang’s shoe at the secretary gathering spreads over the Internet and every member of Sales Team 3 speak up for Zhong Yu Tang against her former subordinates. Sales Team 3 attempt to stop Zhong Yu Tang from entering the company as they find a way to hack into the website to remove the email containing the link to the video. But they fail. Zhong Yu Tang’s two former colleagues, known as Wendy and Amy, of the secretarial department, appear before Zhong Yu Tang. They show her the video that circulated around the office. When Wendy arrogantly asks Sales Team 3 if they would continue to protect Zhong Yu Tang when her actions harm the company’s image, one by one, the members of Sales Team 3 tell her how they, themselves, would do such things and more for the benefit of the company’s sales. They should be thankful that the company has such a great salesperson as Zhong Yu Tang because the company’s profits come from the hard work of the sales department. These words from Sales Team 3 has Wendy unable to come at them with words. Zhong Yu Tang completely defeats Wendy and Amy when she first tells them that she has come to realise that the results come from the effort of everyone’s hard work and not just her own effort. She then thanks the people who uploaded the video because it made her realise that effort is required to achieve goals and she will work even harder to prove that those who put in effort will soar. Ji Wen Kai’s plan for Zhong Yu Tang and Sales Team 3 comes to fruition when every member of Sales Team 3 helps Zhong Yu Tang bring the Mei Mei proposal together and ready for the presentation at Yours. Zhong Yu Tang and Huang Jia Yin head to Yours to present Mei Mei before Chairman Luo, Head Secretary Zhang and two Yours staff with the hope to have Yours sign a contract with them. It doesn’t go well. However, a call from her colleague brings her to meet the wife of the chairman of Yours. She is looking to sign a contract with her. Wang Zi Yu once again helps Zhong Yu Tang with her proposal for a collaboration between Yours and Mei Mei with arranging her a meeting to present her proposal to Chairman Luo and three other staff members of the company. Head Secretary Zhang is one of three Yours staff present in the meeting. Zhong Yu Tang is able to convince Chairman Luo; but, she isn’t able to convince the others. Prior to the meeting, Head Secretary Zhang gave instruction to the two staff attending the meeting to make it difficult for a successful signing of a contract between Yours and Mei Mei. He uses the help he gave to one of the two staff attending the meeting as means to gain cooperation from them. It sees the Yours staff members successful in directing the outcome of the meeting to one where Mei Mei goes through a trial period of testing and assessment through bringing up the valid point of the issue of difficulty in advertising a product that lack a following who can attest Mei Mei’s strengths. The timeframe for the completion of the trial period is one month. However, with the deadline of the budget, they must come up with a proposal in two weeks. Otherwise, the contract will come into effect the following year. The outcome of the meeting therefore is failure. However, after the meeting, Zhong Yu Tang receives a call from Chen You Rui. He firstly asks Zhong Yu Tang how the meeting had gone then lets her know a woman is wishing to meet with her at a café to talk about placing a bulk order for Mei Mei. When Zhong Yu Tang heads there, she finds an elegantly-dressed woman she remembers to be the one who agreed to take the survey and sample Mei Mei that day they were handing out surveys and samples of Mei Mei out on the street. When Zhong Yu Tang makes her presence known to the elegantly-dressed woman, the elegantly-dressed woman first begins with—what looks to be—testing Zhong Yu Tang’s capabilities through testing her memory of how she met her: she asks Zhong Yu Tang whether she had an appointment with her. Zhong Yu Tang answers with saying that she is the one who gave her the sample of Mei Mei. Pleased with the answer, the elegantly-dressed woman invites Zhong Yu Tang to sit. This elegantly-dressed woman reveals her identity after she responds to Zhong Yu Tang’s curiosity of why she wishes to place a bulk order of Mei Mei (the elegantly-dressed woman is impressed that Mei Mei treated her son’s dermatitis when all other products couldn’t): she is the wife of the chairman of Yours and she wishes to sign a contract with her. Great episode. Great ending! This episode was much better than the episodes before it. Not only did the plot finally got going, but we got to see some very interesting character and relationship developments. The scenes at the opening did appear like those in the previous episode. So, they felt repetitive and tedious. The scene where Ji Wen Kai goes down onto Zhong Yu Tang’s lap and Ji Wen Kai in his bed with Zhong Yu Tang caring for him—it was like the last episode where he had the cold. We felt these scenes were more awkward Zhong Yu Tang and Ji Wen Kai moments—ones to give more of the two being close around each other. We totally forgot about Miao Ai Sha because of all those fluffy scenes between Ji Wen Kai and Zhong Yu Tang at the beginning! Then again, her scenes has been very small and looking so insignificant in the last five episodes! We barely notice them until the next episode reminds us that Miao Ai Sha’s side of the story is still coming and building. In this episode though, it was memorable and very interesting. 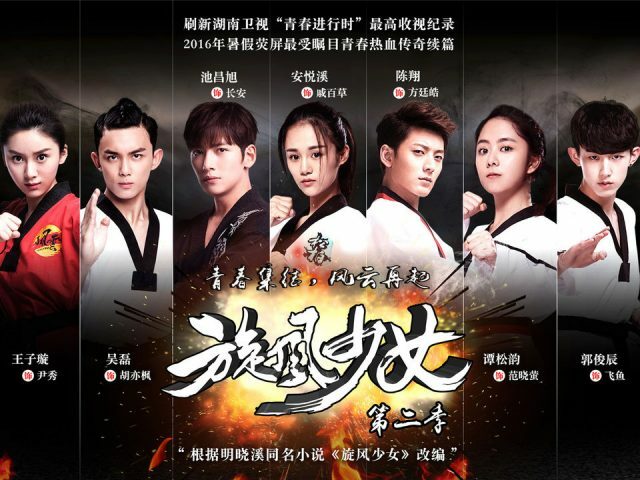 Miao Ai Sha’s background story really make us want to root for her and have her get Ji Wen Kai. It was so sad hearing how no one helped her celebrate her birthday and is a lonely person. :o( :o(. But then looking at this year’s birthday, the one we saw in the episode—it felt like this year’s birthday was the worse. First, Ji Wen Kai doesn’t turn up, so it’s disappointing; but then it gets made better when Ji Wen Kai celebrates it with her and makes it feel actually quite special with the cake and him being there with her to blow out the candles; but then, it becomes disappointing again when she waits for Ji Wen Kai to come back to her before the day’s over, but never does when he spends the last minutes of her birthday on the phone with Zhong Yu Tang! She didn’t get to blow out the candles she wanted to blow out on her birthday or make that wish! It’s sad! It looked like she was going to finally be able to experience a normal and happy birthday, but it ends up in disappointment like how it started! Ji Wen Kai said to Miao Ai Sha her birthdays will never be pitiful again—and yet! Pitiful again. :o( :o(. Miao Ai Sha right now feels like a character who really deserves someone awesome. We wish she could get the person she likes. But of course, he belongs to Zhong Yu Tang. If Miao Ai Sha continues to be written like this, it’ll be sad to see her always being treated as just a great secretary or a good friend by the person she likes. Maybe there’s someone coming in for her. We’re thinking if there was any pairing up happening for Miao Ai Sha and it had to be someone in the current character list, the likely person is Chen You Rui. Usually a character like Miao Ai Sha gets paired up with someone like Chen You Rui in Taiwanese romance-comedies, we find. There’s more competition happening between the new second male lead, Wang Zi Yu, and Ji Wen Kai. There’s one at the secretary gathering which was a sort-of fight for Zhong Yu Tang between Ji Wen Kai and Wang Zi Yu on the dance floor. Then there was one immediately after Zhong Yu Tang finishes her housework at Ji Wen Kai’s place. It was a very funny scene. We see Ji Wen Kai show Wang Zi Yu that Zhong Yu Tang is comfortable with him and allows him to do things that he isn’t able to do. It’s the scene where he makes Zhong Yu Tang allow him to help her put on her jacket: the way Ji Wen Kai casually brings the lock of Zhong Yu Tang’s hair out from between her jacket to place it neatly on her back, the ability to fix her hair, turn her around, grab her by the shoulders and tell her with a sweet smile that the morning is chilly, don’t catch a cold and eat her share so to not disappoint Wang Zi Yu’s effort without discomfort or complaint from Zhong Yu Tang, he was making Wang Zi Yu see he’s closer to Zhong Yu Tang. That scene looked a lot like Ji Wen Kai and Zhong Yu Tang were husband and wife! It’s probably exactly the impression Ji Wen Kai was trying get across to Wang Zi Yu, right? Hehe. Zhong Yu Tang was so oblivious towards the show Ji Wen Kai was putting on for Wang Zi Yu to see. So oblivious. That scene was entertaining. Loved it. If these are the type of scenes that’s coming for the love triangle between these three, we think we might enjoy it a lot. We definitely like the direction of the series much better after this episode. It feels like we are moving and progressing now and the series is lifting off. That development of the chairwoman of Yours being the person Zhong Yu Tang successfully got to participate in their Mei Mei street survey episodes ago was awesome development. We’re hoping things like this continue to happen and the story keeps progressing and moving. @Moriaelini We don’t know why, but from the start, we actually quite like her from the very beginning. Maybe it’s that we know Miao Ai Sha is a second female lead. We’ll get so annoyed and invested in the annoying things that she gets up to. But, we know she’ll get it in the end. So, we just think it’s okay. Keep going. Miao Ai Sha was actually an extremely light second female lead. She didn’t do many despicable things. Did Miao Ai Sha push herself onto Ji Wen Kai? It’s been so long ago since watching this series.